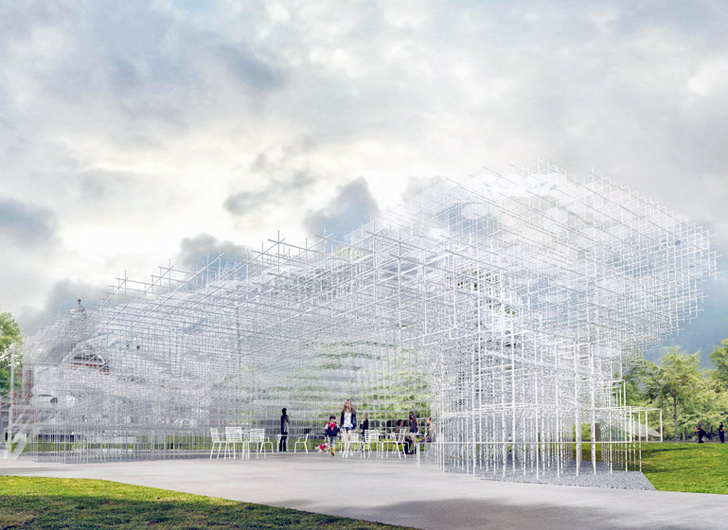 A cloud-like cluster of white steel rods will shimmer above the trees in Kensington Gardens this summer, courtesy of Japanese architect Sou Fujimoto. He has been announced as the latest designer of the Serpentine Gallery’s annual pavilion commission and he promises to bring a vision of airy lightness, in marked contrast to last year’ssubterranean grotto by Herzog & de Meuron and Ai Weiwei. Many architects like to think their buildings dissolve and “dematerialise” into their surroundings. They talk in earnest about “fluid space” and the continuity of inside and out – the simple use of a window or door endowed with the rhetoric of free flow. But Fujimoto actually does it.